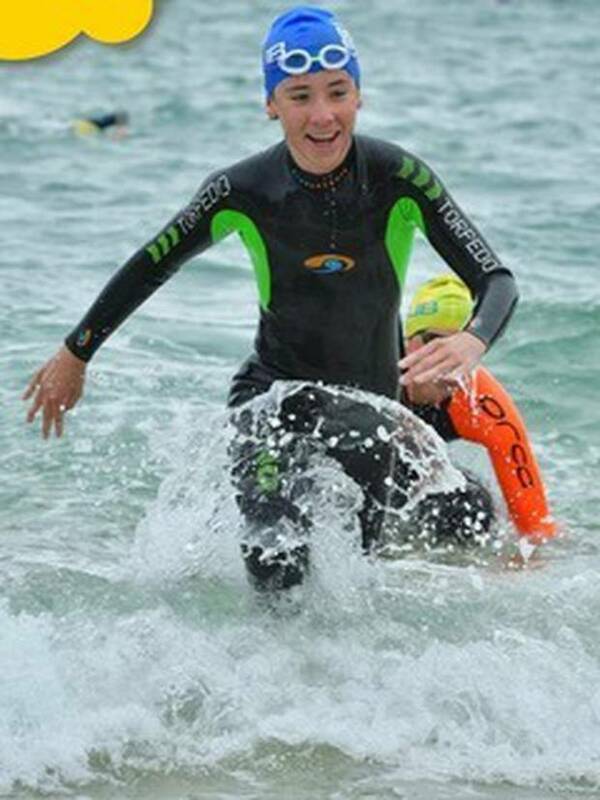 Whanganui teenager Andrew Hay has finished a creditable fifth in his age group in his first ever Harcourts Cooper and Co Double Auckland Harbour Crossing. At 8am on Saturday morning in teeming rain the Whanganui High School 14-year-old swam under the clip-on lanes of the iconic Harbour Bridge from off the rocks in front of West Haven Marina to Northcote Point and back covering a distance of 2km. More than 1500 swimmers from all around New Zealand (and some from overseas) competed in two events comprising a single crossing (1km), which 500 people entered, and the double crossing (2km) which more than 1000 people competed in. Hay finished a credible fifth in his age group which comprised 42 similarly aged swimmers and he placed 39th overall in an open age field comprising more than 1000 competitive swimmers. His time, 26 minutes 24 seconds, was considered a good result by his coach considering he started 30 seconds behind the lead pack of 100 higher ranked swimmers. He swam past and around 60 of the swimmers who started in front of him at the staggered start on his way to the finish line. The inaugural race witnessed a sprint finish with Daniel Shanahan from Tauranga winning in a time of 22 minutes 02 seconds. Second placegetter Davey Boles from Rotorua was just 2 seconds behind. Professional swimmer and Olympian Yasunari Hirai from Japan was third. Former New Zealand representative and recently retired world champion Lauren Boyle also competed. She won her category in a time of 23 minutes 42 seconds. Hay said he really enjoys the challenge of long distance open water swimming where conditions are never the same. "You have to overcome waves, tides, currents, rain, wind and the cold as well as being confident you can cover the distance," Hay said. He said he also enjoys swimming in open age events. "Unlike pool swimming there's plenty of swimmers in their 50s, 60s and 70s competing in open ocean races. There's a lot of chatter and camaraderie and the older swimmers are truly an inspiration." The oldest competitor in the double harbour crossing on Saturday morning was John Marshall from Papamoa who is 83-years-old. "I am going to have to talk to the older generation of swimmers and walkers who share the lane next to me at the Splash centre at 6am in the mornings. And get them to do some laps and raise their sights." Hay has competed in three open ocean distance events this year including at Lake Taupo and the 3km Capital Classic in Wellington Harbour. Hay said he was pleased with his effort on Saturday and his progress overall. "I have been training in a squad coached by Jon Winter at Raptors Club in Raumati for the past six months. I have set some long term goals which I am working hard at and I feel I am getting fitter and making slow but steady progress," Hay said. 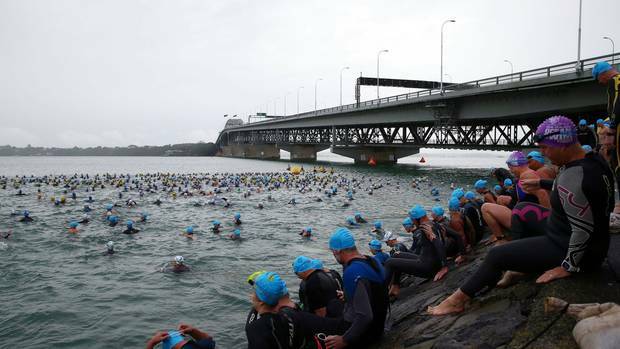 More than 1500 swimmers competed in the Harcourts Cooper and Co Double Auckland Harbour Crossing on Saturday.